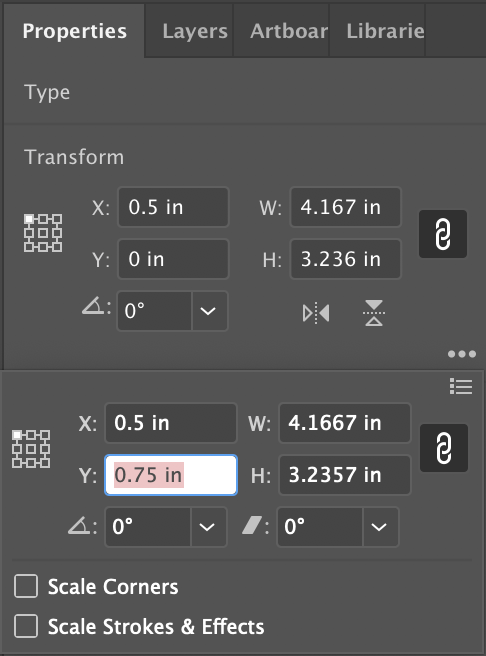 Why are the measurements different in the Properties > Transform palettes in Illustrator CC? I don’t even really understand the difference between the two panels. The second one puts the Y coord at .75" (correct), and the first one says it’s at 0. I also occasionally notice that the widths and heights are different—not just rounded—and the second panel will be labeled “Rectangle.” Can someone please explain what’s going on here? Hmm... I suspect a glitch with your file - I can't duplicate this - in my file, the two palettes show corresponding data. And when clicking on the "more here" ellipsis in the palette corner - more of the same - corresponding data. I think I'm going to suggest copying elements out a layer at a time into a brand new .ai file. 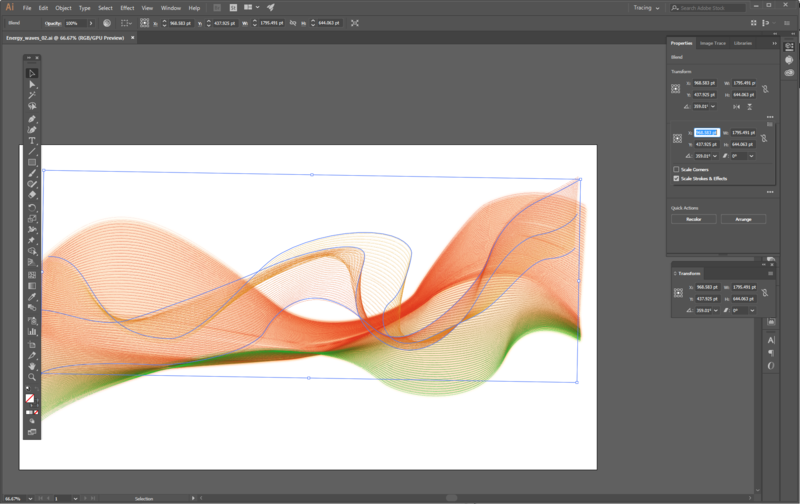 Illustrator: Why do layers and sublayers sometimes have different colors? Why does the whole box fill when I transform an object in Illustrator? Why are pixels not the same from Photoshop to Illustrator? Why do shapes and spacing get distorted when scaled down in Illustrator?